Steak and meat, the worlds best treat. 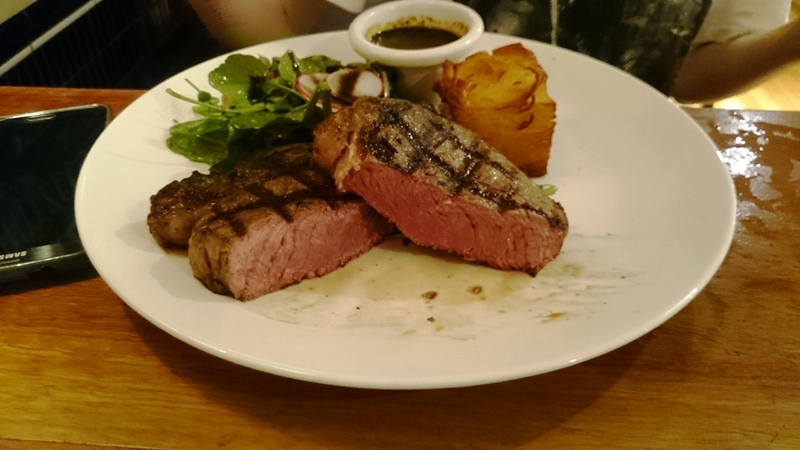 The Dolphin does a 2 for 1 on a Monday and I made my way there to eat two meals with one order, their Wagyu burger and the 400g scotch fillet. I ordered the steak medium rare and got potato gratin as the side with a truffle jus for sauce. 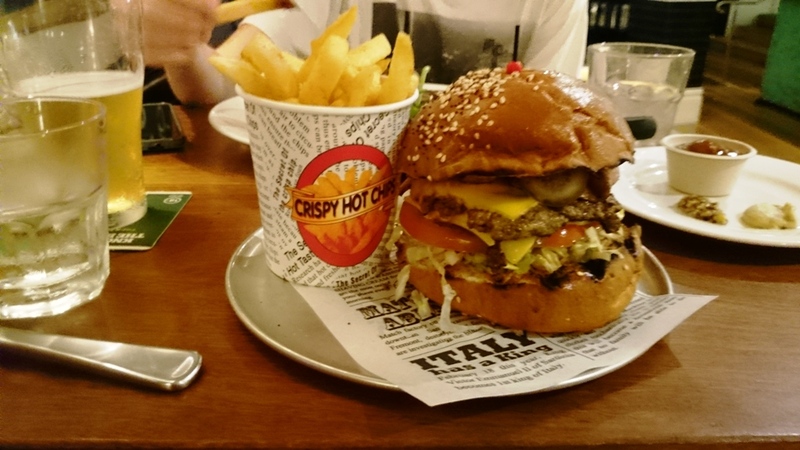 The burger came out first and was a real meal, I mean it was packed with toppings and stood pretty high served with a side of chips, but overall it was just another burger, there was no wow factor or standout flavours. The steak took 40 minutes to arrive, it was borderline ridiculous but when it did it looked great. Lovely grill marks but a touch over medium rare. It was tender and juicy and had been rested well, my favourite thing about the steak at the dolphin is the salts they had to go with it, the steak came unseasoned but you were able to choose from around 7 different flavours salts including the following, smoked, coffee, wattle, lemon myrtle and many more. Taken as a whole, the flavour carried a char and nice texture and tenderness but quite a light and unsubstantial beefiness, the truffle jus however was simply incredible, worth spilling blood over. 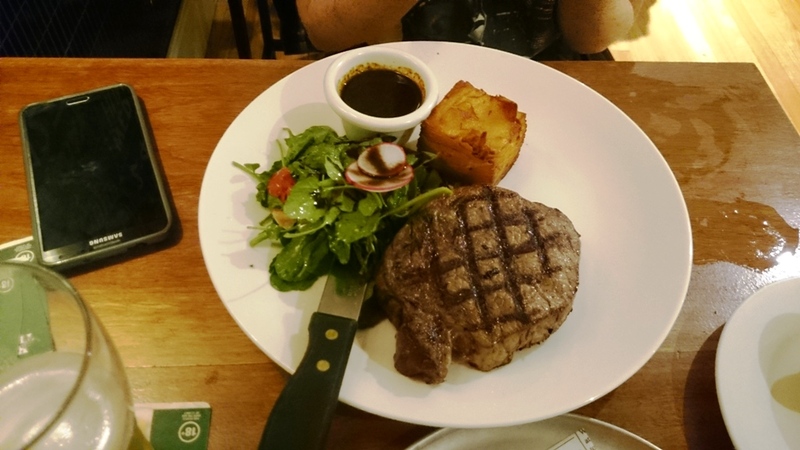 Posted on June 20, 2015 October 13, 2015 by AdrielPosted in Steak, SydneyTagged Burger, Scotch Fillet, Steaks, Sydney. All photos have been taken by authors of Steak Me Out unless specified, and may not be used without express written permission. Please note that we have no professional qualifications, all opinions are our own with all meals being paid for by us. Steak Me Out does however selectively accept invitations to events, complimentary meals and other food and restaurant experiences. If a blog post is published on these invited experiences it will be stated at the beginning of the post with opinions expressed being always our own.